Farmers frequently find abnormal corn ears in fields affected by major stress such as drought, temperature extremes, disease injury, insect injury or misapplied chemicals. Often, these abnormalities adversely affect yield and grain quality. 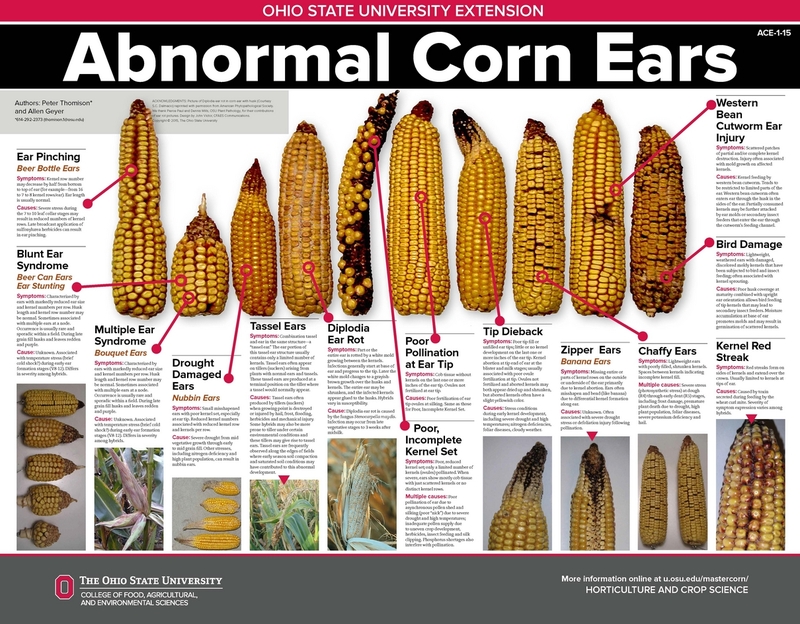 This poster describes symptoms and causes of ten types of abnormal corn ears. The purpose of the poster is to help corn growers and agricultural professionals diagnose and in some cases manage various ear disorders. Click here to download a copy of this poster from Ohio State University.